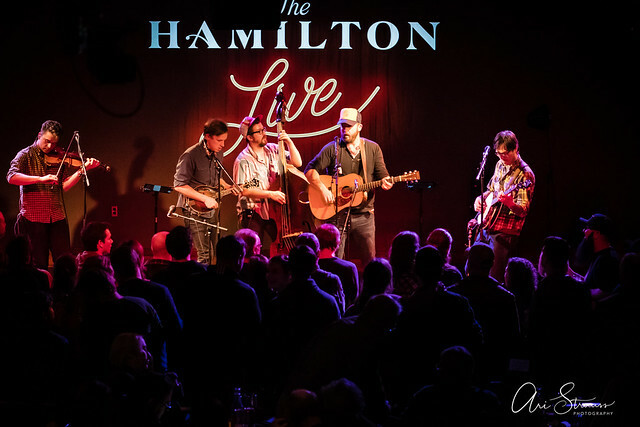 Posted on 01/21/2019 by Mark Engleson	in Live Review and tagged Ari Strauss, bluegrass, North Carolina, The Hamilton, The Hamilton Live, Town Mountain. 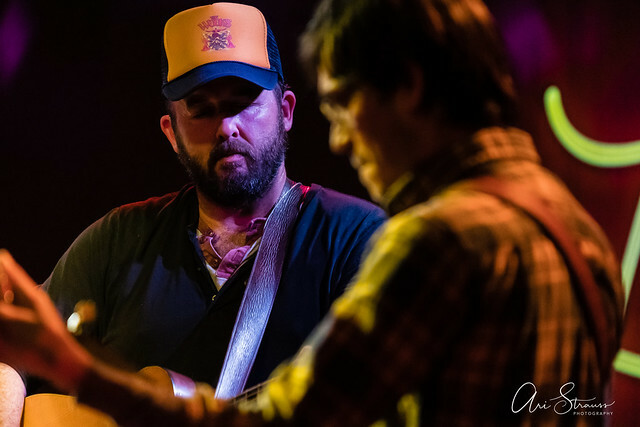 In August, Rolling Stone listed Town Mountain in its 10 Country Artists You Need to Know. 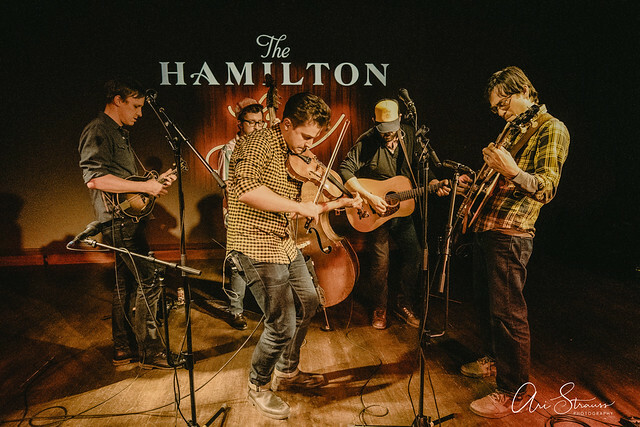 Although the band has been around for a more than a decade, and it has won International Bluegrass Music Association Awards, it’s reaching a new level on the back of its latest album, 2018’s New Freedom Blues, released last year, which casts a sonic bridge between bluegrass and Americana. 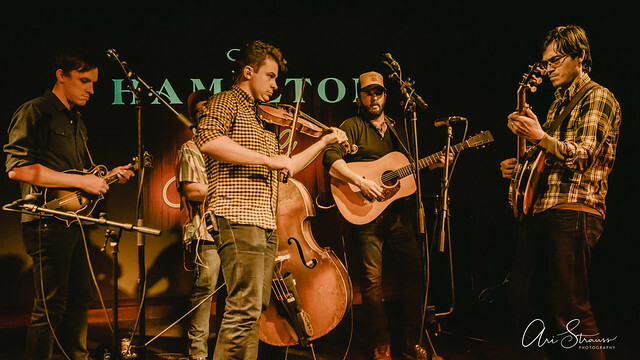 Town Mountain justified that new level of respect in a show at The Hamilton Live on Friday. 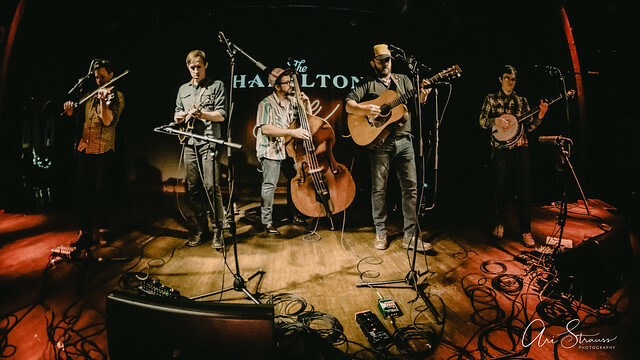 Town Mountain rolled into The Hamilton with a fully realized bluegrass sound — Phil Barker on mandolin and vocals, Robert Greer on guitar and vocals, Jesse Langlais on banjo and vocals, and Zach Smith on bass — on Jan. 18. 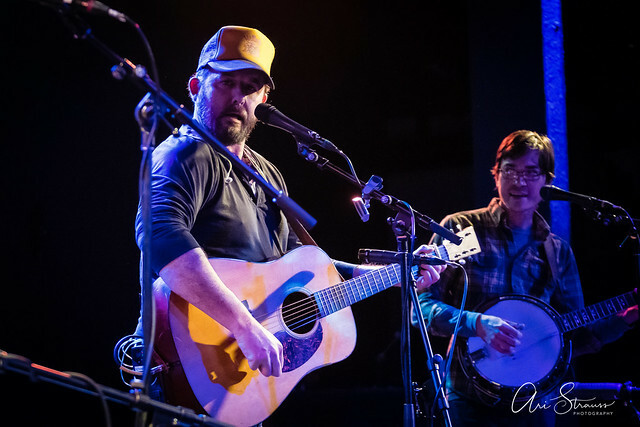 In addition, Jack Devereux, once the band’s fiddle player, made a welcome appearance as a substitute for Bobby Britt, who has been recuperating from surgery. 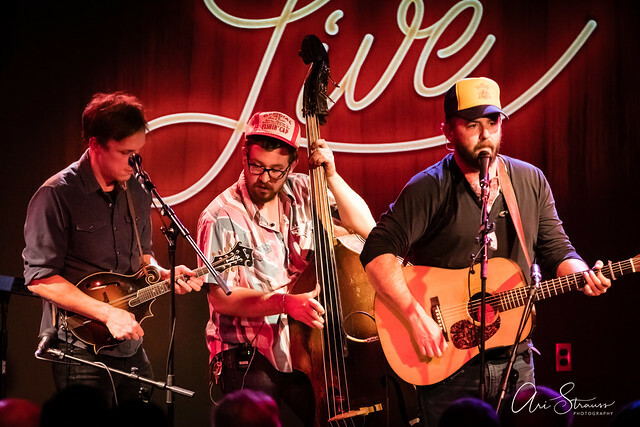 Although Town Mountain writes “95 percent” of the music they play, the band became known for their rendition of “a song by a fellow from New Jersey” — “I’m On Fire” by none other than Springsteen. Remarkably, the band recreates the sound of the synthesizers from the 1984 song. 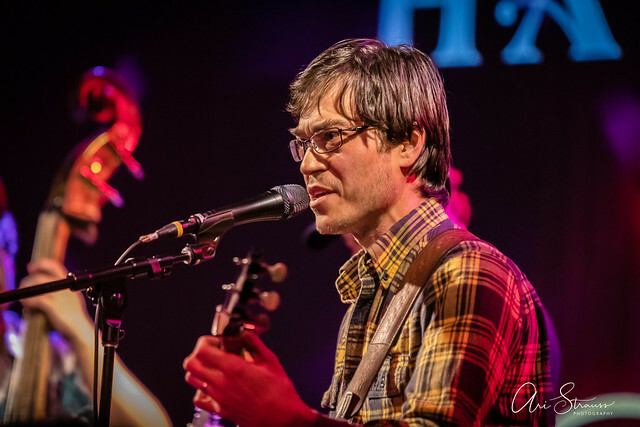 As part of its “Cover to Cover” series, Town Mountain also played Warren Zevon’s “Lawyer’s, Guns, and Moneys,” pointing out the timeliness of the lyrics. I had forgotten that Russians made an appearance in this classic! After the show, I spoke to the band about the oral history compiled by Zevon’s ex-wife, I’ll Sleep When I’m Dead. 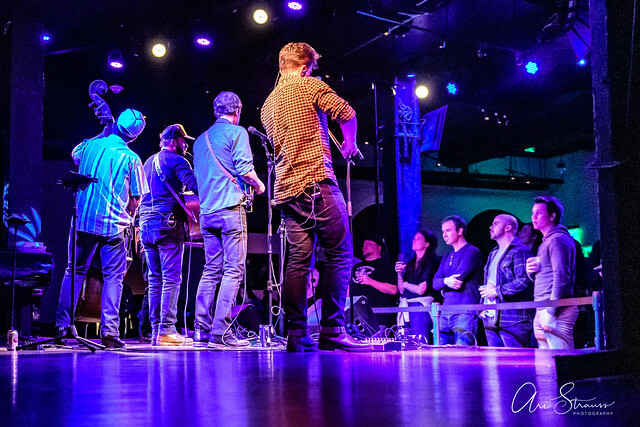 The band encouraged the audience to take to Facebook and send in songs they want to see the band play. 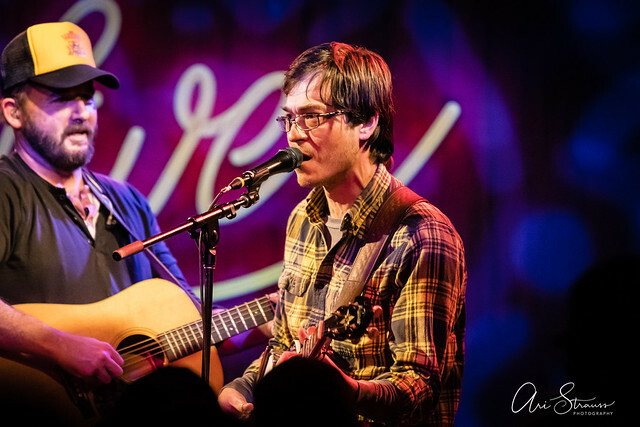 They know, they said, that their fans always want to hear more Grateful Dead. 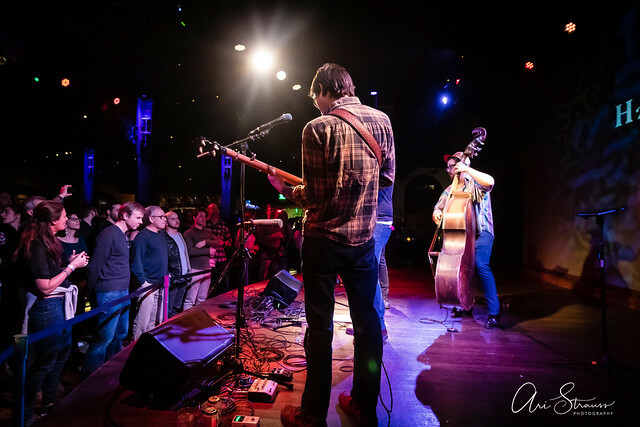 The band, which has a presence on the jam band scene, later confirmed my hunch that the Dead heavily influenced them. 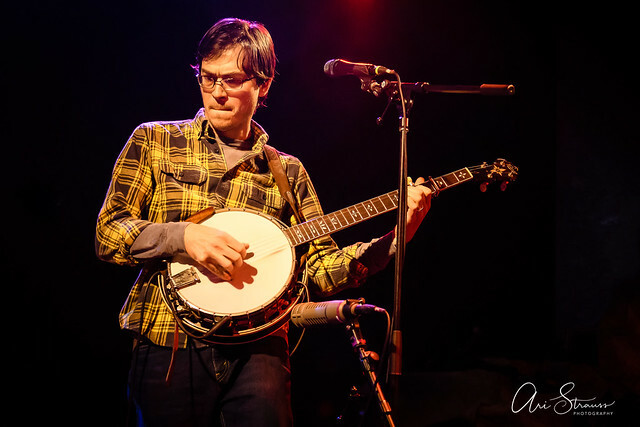 Jerry Garcia, before turning his attention to the electric guitar, played the banjo, and there’s a lot of bluegrass in the Grateful Dead’s DNA. 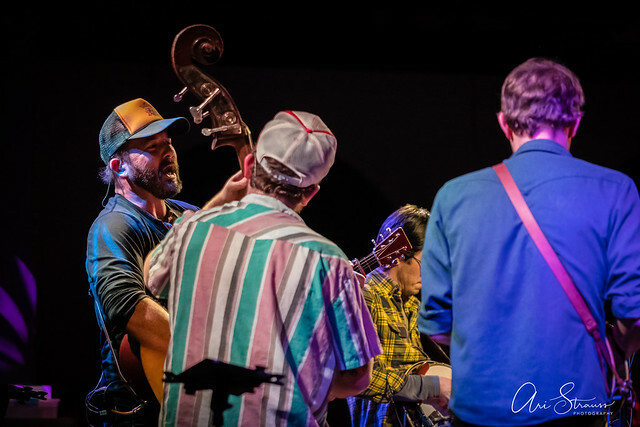 Frequent solos and lengthy improvisation occurred throughout Town Mountain’s concert. 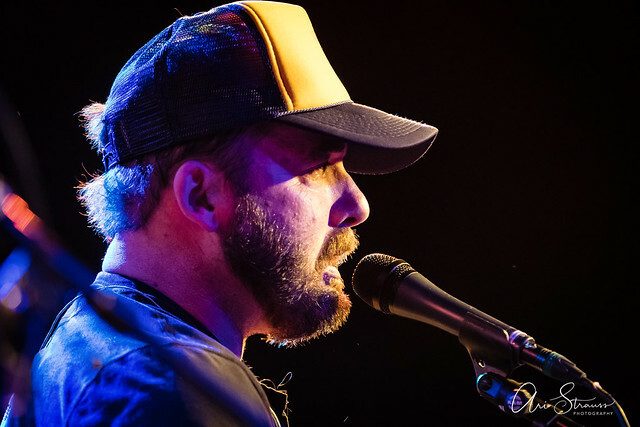 In addition to playing classic American rock songs, Town Mountain worked with Americana Music Association New Artist of the Year Tyler Childers on their latest album. 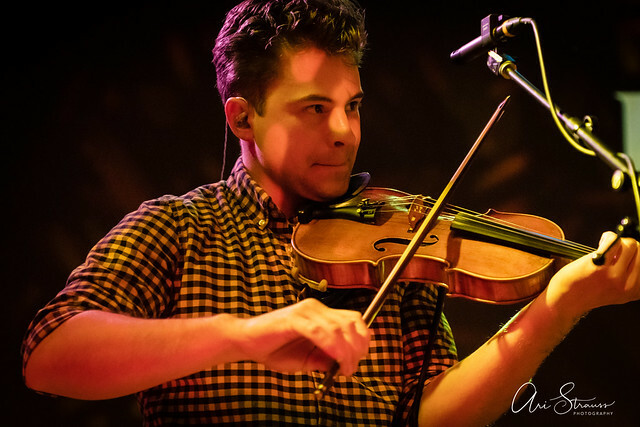 (See our coverage of Tyler here.) 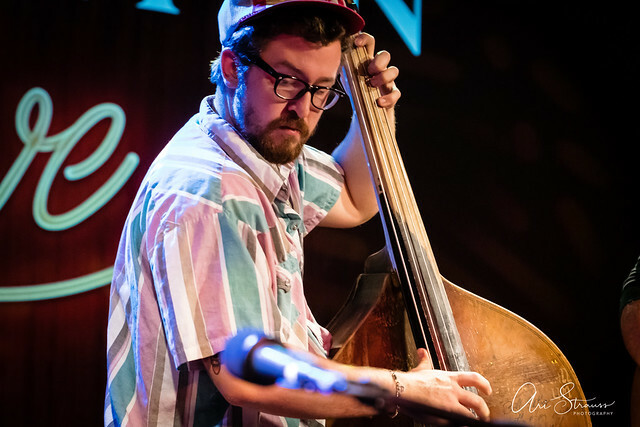 Tyler Childers co-wrote the closing cut of the album, “Down Low,” with Jesse. 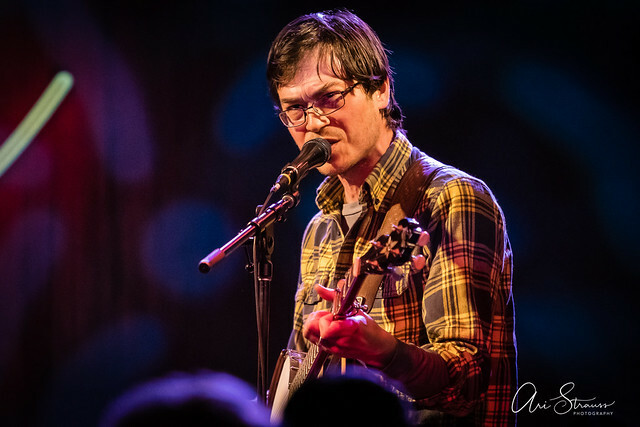 “Life and Debt,” Jesse told the audience, is about credit card companies marketing their wares to hapless college kids. When he arrived at college, he was stunned to see credit card company after company lined up, giving away free gifts to freshmen with no clue about how to handle finances and debt, entrapping them in an endless, predatory cycle they’d never break free from. 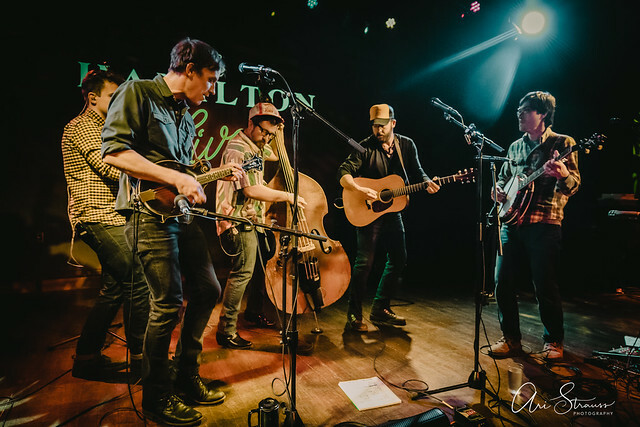 You thought old-timey bluegrass was dark, with all that singing about murder? 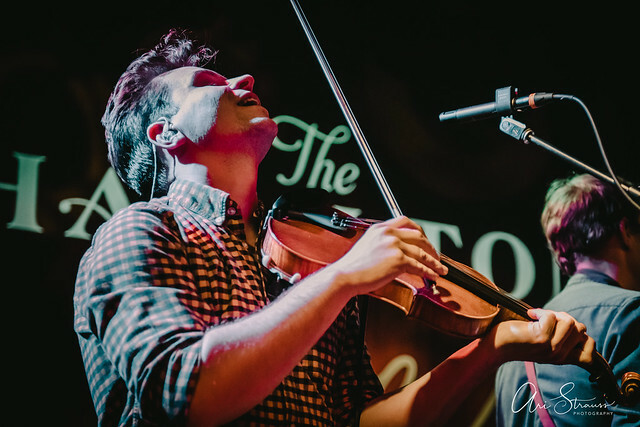 Who knew that bluegrass had a darker place to go: a life spent under backbreaking, crushing debt, imposed at a time when life should be filled with the promise of new opportunity. 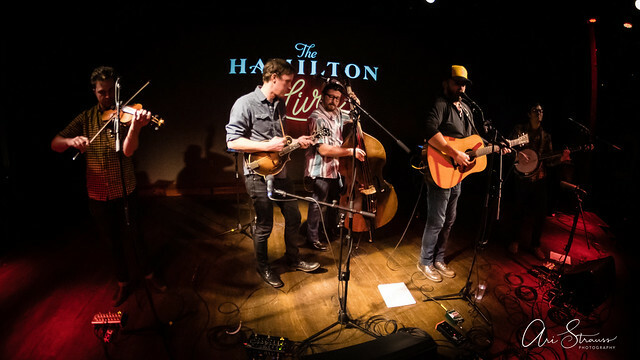 Town Mountain took the dark tradition of bluegrass to a whole new level at The Hamilton Live. 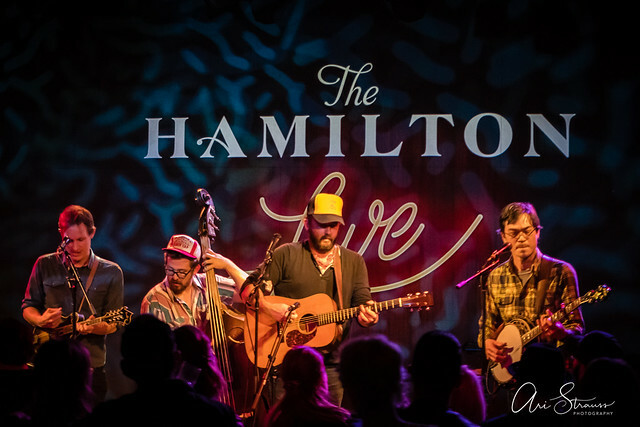 Here are some photos of Town Mountain performing at The Hamilton Live on Jan. 18, 2019. All photos copyright and courtesy of Ari Strauss.